A political party in Australia is calling on the country’s domestic spy agency to run background checks on Members of Parliament (MPs) in Western Australia (WA) for links to organizations under Chinese Communist Party (CCP) control. 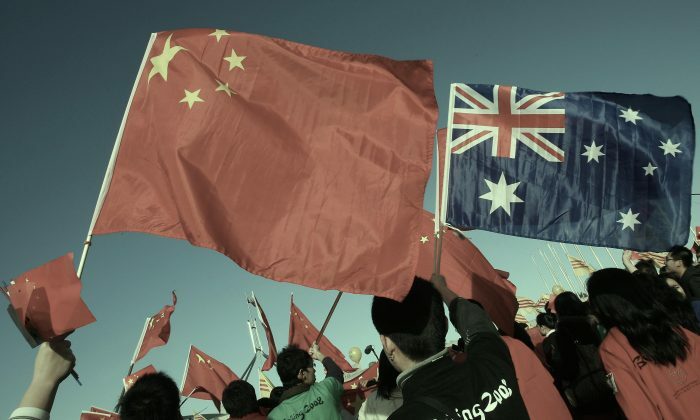 Two members from the One Nation Party—a nationalist, right-wing populist political party—recently expressed concerns following events in 2018 that raised questions about the CCP’s influence on Australia and WA. The One Nation members called for the Australian Security Intelligence Organization (ASIO) to conduct background checks for links to the CCP on all WA MPs, as well as on members of their own party who were born in China. WA Legislative Councillor Charles Smith told the Sydney Morning Herald (SMH) that Australians should be concerned, following the revelation that an MP from the Labor Party, Pierre Yang, had not declared his links to pro-CCP organizations. “One Nation WA are now proposing the need for ASIO to vet all members of the West Australian Parliament,” he told SMH. The Australian reported some members of the Labor Party in WA are worried about Yang’s rising influence. Since being elected to parliament Yang, 35, has recruited a record 500 new members to the WA division of the Labor Party’s total membership of about 7,000, with almost all of the recruited members being from his local ethnic Chinese community. ASIO can be compared to the United States’ Federal Bureau of Investigation or Britain’s Security Service. While it does not have the power to arrest, ASIO can conduct security assessments and gather intelligence, as well as engage in counter-espionage activities to protect Australian government agencies, businesses, and others from an attack or unwanted influence. Smith also said the WA state government should question the nature of foreign political donations. Smith claimed One Nation had never accepted foreign political donations and the first Australian political party to call for their ban. As part of a package of laws to protect Australia against covert foreign political interference, the Electoral Funding and Disclosure Reform Amendment, which bans foreign political donations will come into force from Jan. 1, 2019, the office of Senator and Finance Minister Mathias Cormann confirmed in Dec. 2018. One Nation WA president Paul Filing, who was formerly the federal member for Moore in northern Perth, said people born in China who apply for party membership will need to pass a rigorous background check before being approved to join. He said Tshung Chang, the party’s state secretary, would be vetting applicants. “Mr Chang, who is our state secretary and has Chinese-Malay heritage, will be tasked to ensure each applicant is a bona fide West Australian loyalist with no ties to the Chinese Communist Party,” Filing told SMH. Filing believes Australian political parties should create a foreign influence transparency scheme to guard against any unhealthy influence on WA politics. The WA government has been criticized for dismissing security concerns by awarding a A$136 million ($101 million) contract to controversial Chinese company Huawei, which announced the successful bid in a media release dated July 6. The foreign telecom giant will form a joint venture with Sydney-based UGL to build a 4G cellular network across Perth’s train network, including the yet-to-be-completed Forrestfield Airport Link twin tunnels. “ASIO vetting will go a long way to stopping those who would seek to influence and compromise our ministers and will only uphold the integrity and confidence of the government in the eyes of the public,” Smith said.